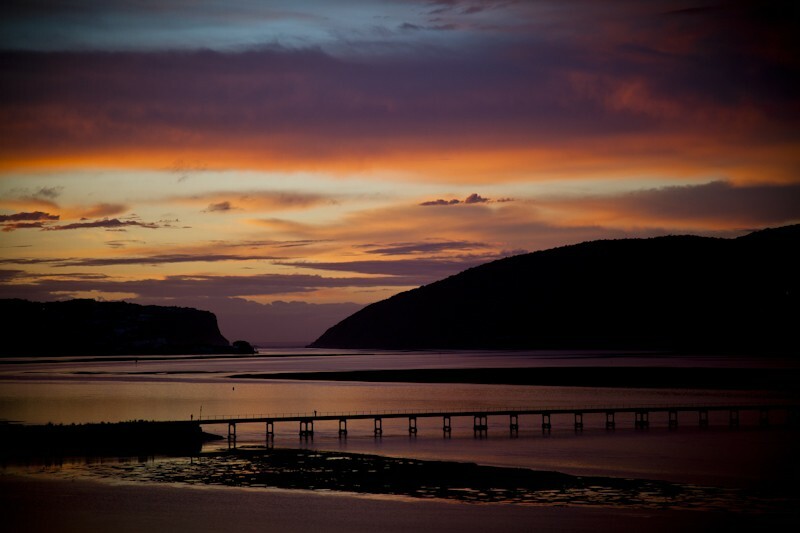 Knysna - perfect town from which to explore the Garden Route. 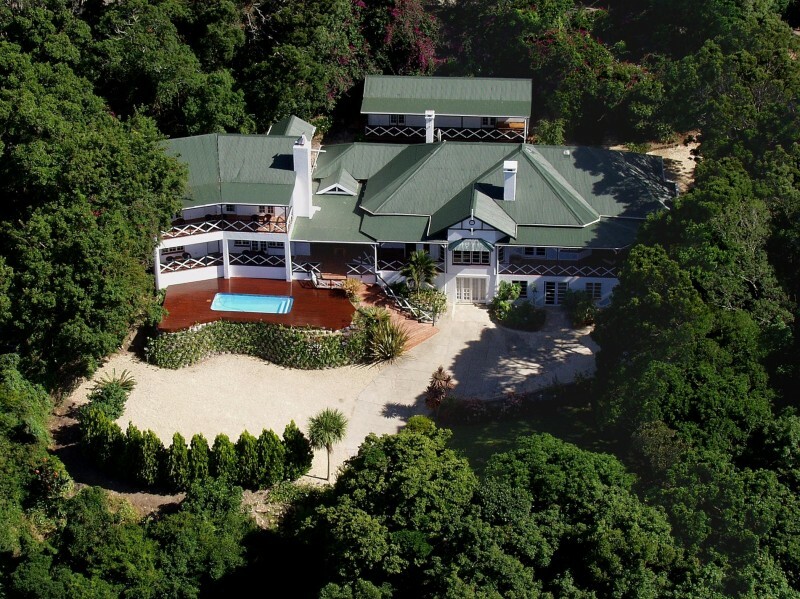 Hide-Away Guest House, a Bed and Breakfast establishment, offers 7 well-appointed rooms fitted with every convenience needed by travellers. Complimentary highspeed WiFi and secure offstreet parking. 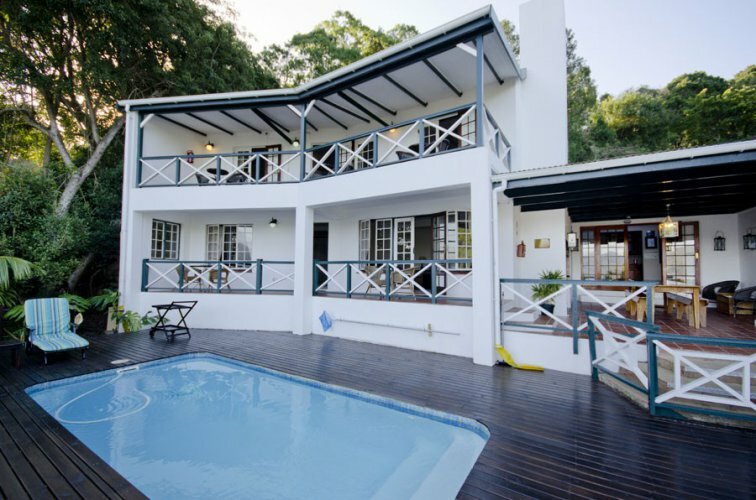 Let Cecil & Colleen, your South African hosts, make you feel completely at home whilst staying with them. 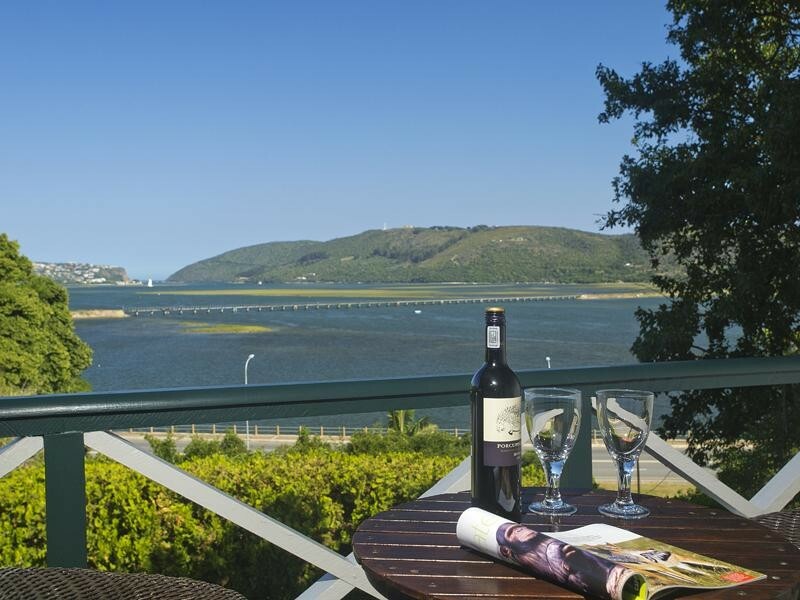 The B&B is within easy walking distance of the town of Knysna and the Waterfront and offers some of the most amazing views of the Knysna Lagoon and Heads. 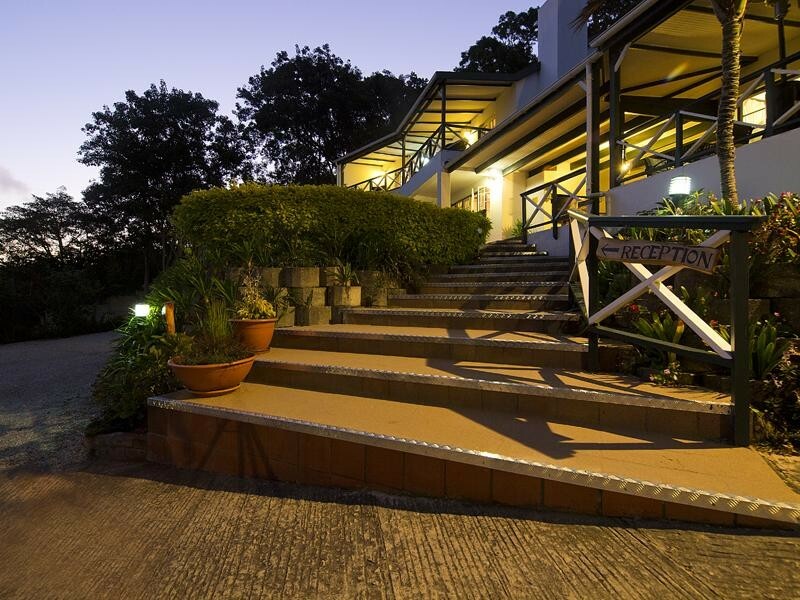 We offer offstreet parking and complimentary wifi to all guests. 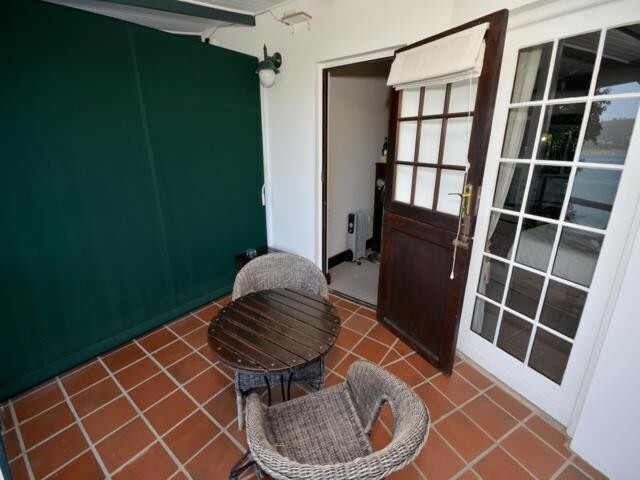 Large, extremely comfortable and well appointed rooms. 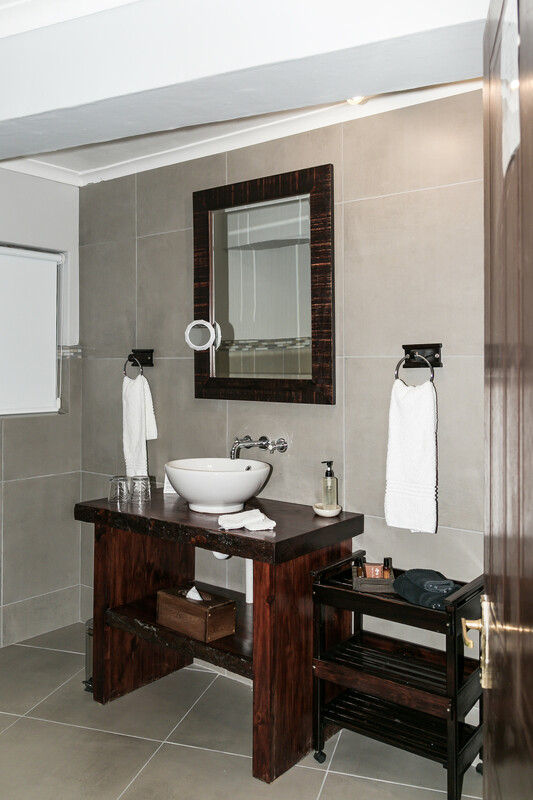 En-suite bathrooms with showers. Both rooms have king size beds. 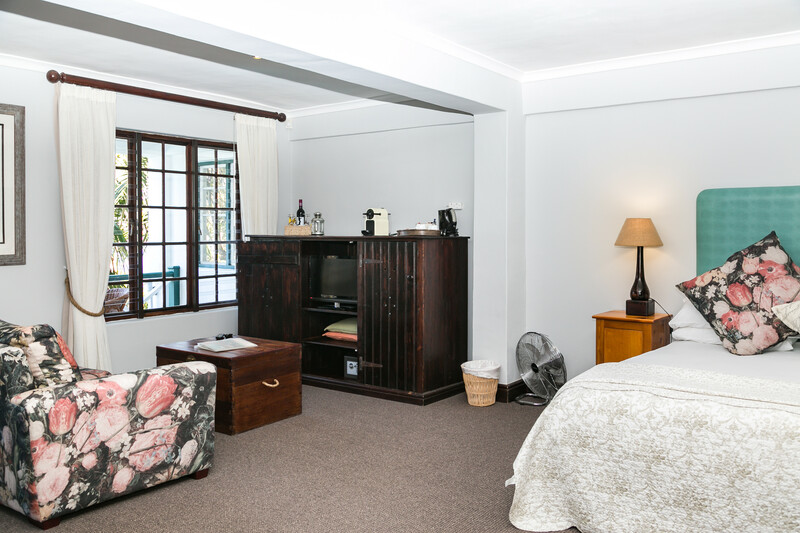 DSTV, airconditioning, mini safe, hairdryer, mini bar, tea/coffee tray and Nespresso machine are available in all rooms. Gowns are provided. Breakfast is served on the veranda - weather permitting. 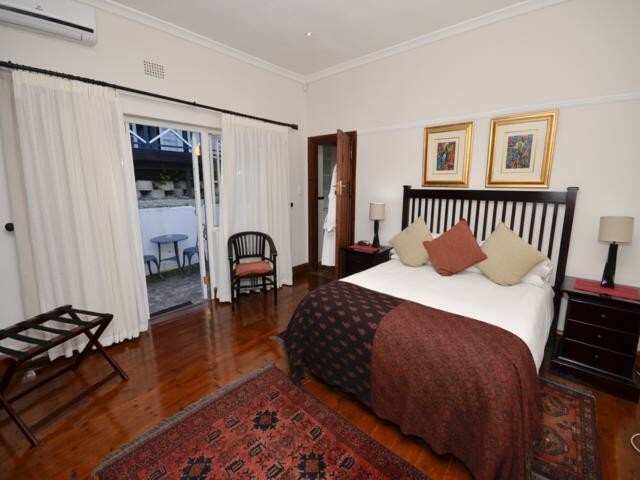 Extremely comfortable and well appointed rooms. En-suite bathrooms with showers. 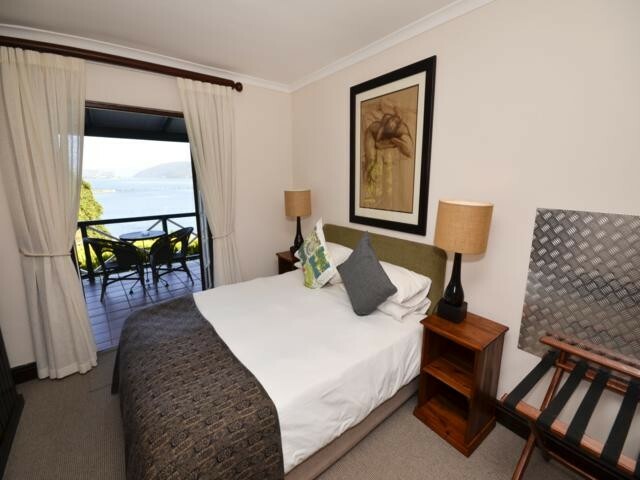 2 rooms have queen size beds and 1 room offers twin beds. 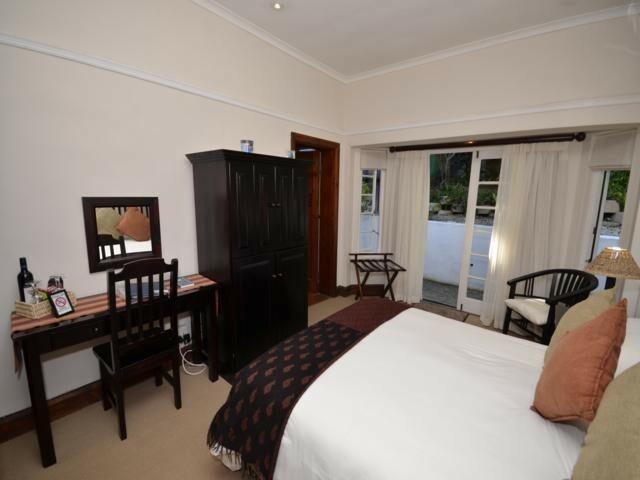 DSTV, airconditioning, mini safe, hairdryer, mini bar, tea/coffee tray and Nespresso machine are available in all rooms. Gowns are provided. Breakfast is served on the veranda - weather permitting. Extremely comfortable and well appointed room with queen size bed. Full en-suite bathroom. DSTV, airconditioning, mini safe, hairdryer, mini bar and hot/cold tray. Gowns are provided. Breakfast is served in the dining room or on the veranda - weather permitting. 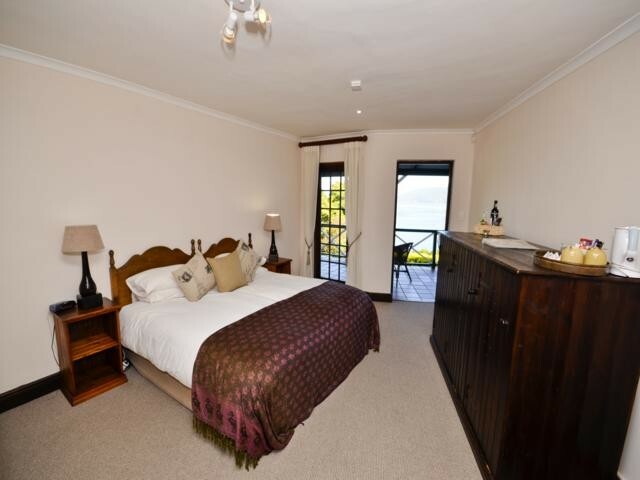 Comfortable and well appointed room with queen size bed and en-suite bathroom with shower. DSTV, airconditioning, mini safe, hairdryer, mini bar and hot/cold tray. Gowns are provided. Breakfast is served in the dining room or on the veranda - weather permitting. 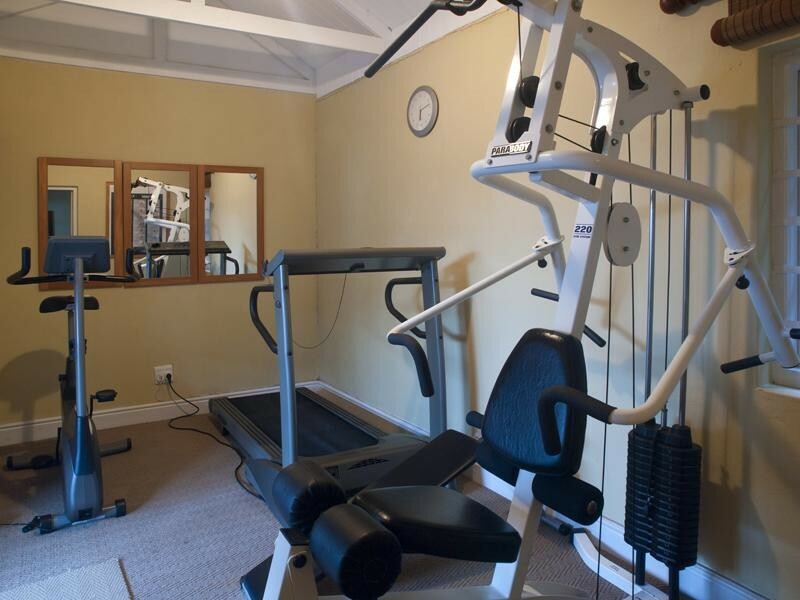 Activities offered at Hide-Away Guest House: A swimming pool and small gym are available for use by all guests. 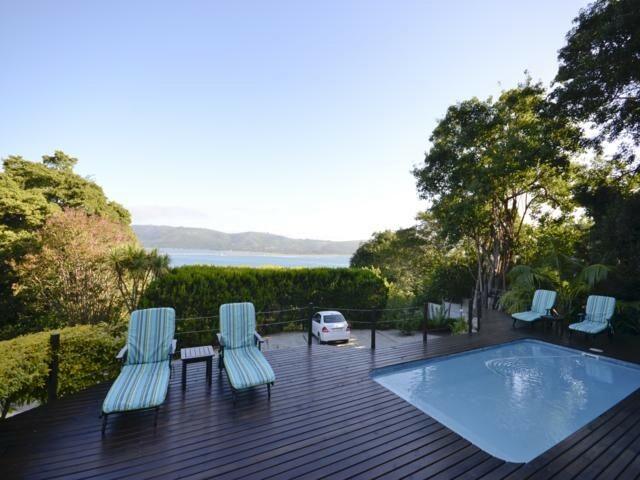 Golf courses include Simola, Pezula and Knysna Golf Courses. Other excellent courses include those in George, i.e. Fancourt as well as those in Plettenberg Bay. Two hour drive to Oudtshoorn and Cango Cave. We unfortunately do not accept children under the age of 12.